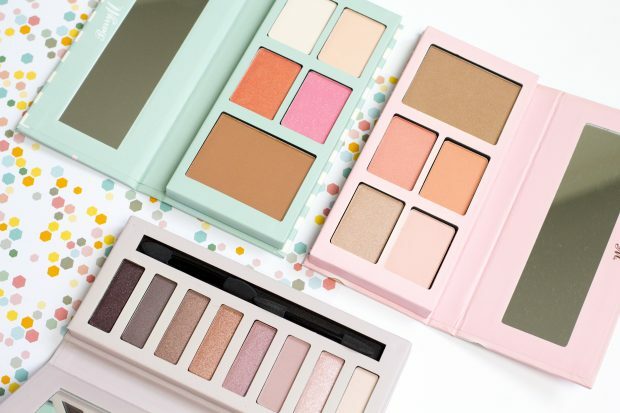 I’m a huge fan of makeup palettes, in fact sometimes I consider myself to be a bit of a palette collector! It can be quite hard to find bargain palettes, which cater for people on a budget, without compromising on quality. However, in the last couple of years, high street beauty brands have really upped their game. Their mission: to bring good quality makeup to the world, at an affordable price! 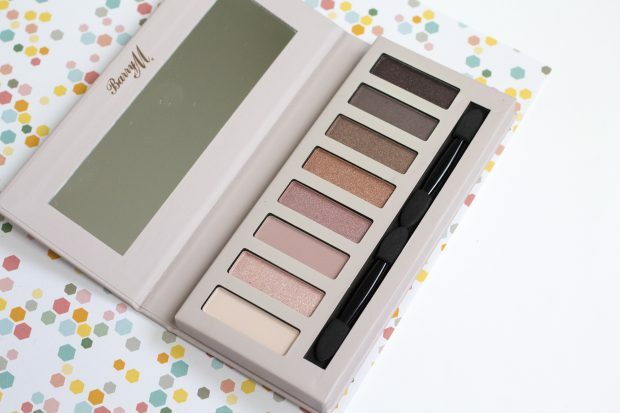 Today I wanted to show you feel makeup palettes from British beauty brand; Barry M. Barry M are well known for their high quality nail polishes, but they’ve recently been expanding their makeup lineup too! The first palette is the Hide & Go Chic Palette*, which is packaged in a pretty blue nautical box. The Hide & Go Chic Palette has all you need for your cheeks, featuring bronzer, blusher and highlight. What’s fantastic about this palette, is that it’s a full look in one handy palette. It’s lightweight too, which means it’s perfect for travelling. If you want to create a bronzed, glowing look, you can start by taking the contour, bronzer shade and running it along your cheekbones. The bronzer in the Hide & Go Chic Palette is quite pigmented and it’s a warm shade, so I need to use a very light hand on my fair skin. You then have a choice of two different blushers, which are very different! It’s great to have two options depending on your mood. On the top there is a peach/orange shade and on the bottom you have a hot pink. Finish your look by adding some of the highlighter to the tops of your cheekbones and down the bridge of the nose. Again, in this palette you have a choice of two highlighter shades, one which is more pink and one which is more gold. Pick one or wear both if you’re obsessed like me! The second palette is the Get Up & Glow Palette*, which is very similar to the first palette, just with different shades. This palette is perfect for people who have slightly fairer skin, as the shades match a little better. You have all the same products; a bronzer, two blushers and two highlighters. 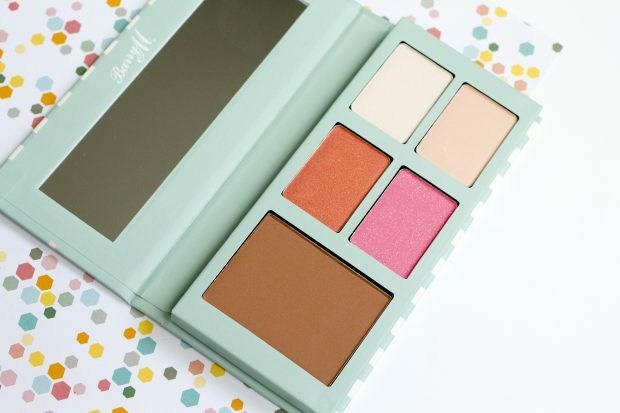 Making this a perfect travel palette, or perfect for people who are beginners to contouring. Exclusive to Boots! For the last palette we’re switching to eyeshadow and talking about the Super Natural Eyeshadow Palette*. Now this palette is just perfect for any eyeshadow obsessive! This Superdrug exclusive features eight different eyeshadow shades. The shades include lots of neutral colours, which follow a brown, pink and purple colour scheme. The shades are so pretty and they are really wearable, meaning you can create a pretty look whether you’re heading to work or out to party. I personally love taking the lighter shades and running them all over the lid. I then take the darker purple-hued shades and blend them through the crease. It’s an eyeshadow look which takes five minutes but looks really impressive! When you consider these all retail for under £8, they are an absolute bargain! 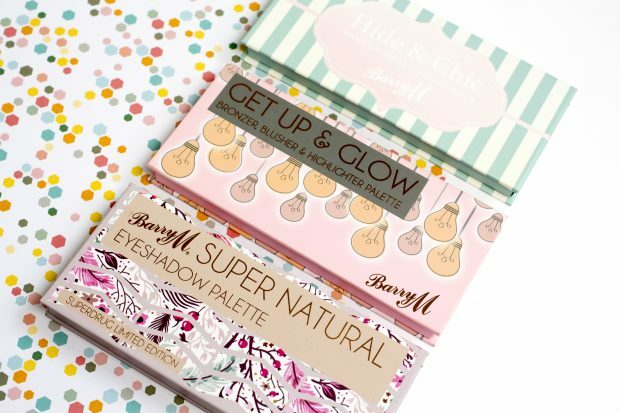 Have you tried any of the Barry M Palettes? Which is your favourite?